I'm very proud of my Filipino heritageand culture. Even after moving to Sydney from Manila many years ago, I valuedand kept with me the best things out of my heritage. One of the best thingsabout the Philippines is its amazing and vibrant cuisine that I've grown tolove. Philippine cuisine has been influenced by Spanish, Malay, Chinese,American and other Latin countries cuisine over the years. Luckily forFilipino-Americans in the West Coast of the U.S., there was no shortage ofFilipino restaurants in areas in such as San Francisco and Los Angeles. But wehave our very own Filipino community here that's making its mark in the Sydneyfood scene. Almost a year ago, I was very pleased to have heard of a Filipinorestaurant at Dee Why, NSW that has done well since 2002. 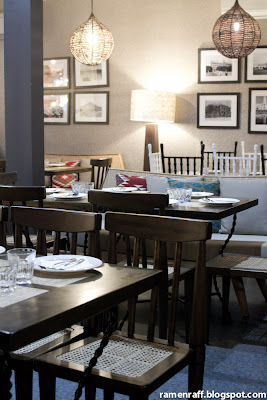 The restaurantknown as LaMesa (means "table") has received raving reviews includingone from fellow blogger SugarLace. 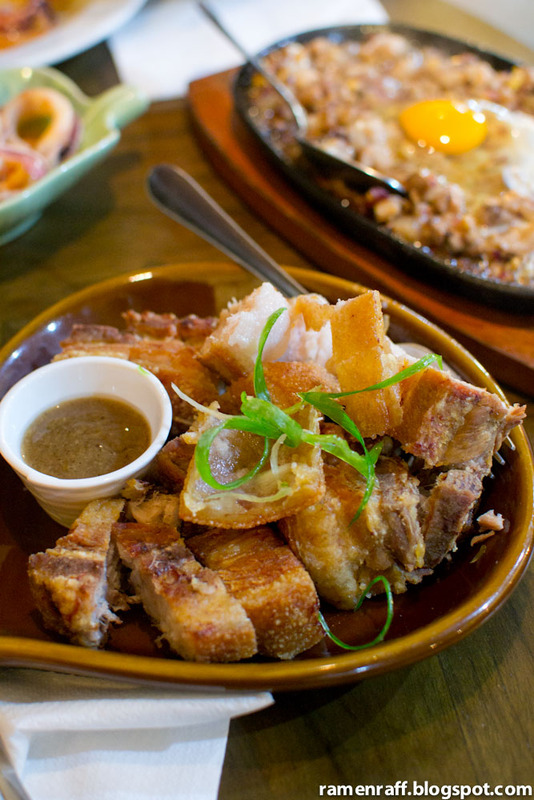 It was also featured in SBS Food Safari'sFilipino food episode. Soon as I heard about the news of LaMesa opening up atHaymarket in Sydney, I was ecstatic and made arrangements to visit ASAP! Theplace had a mix of contemporary and Filipiniana decor that suited the Sydneylocation whilst keeping the Philippine vibe intact. Now down to the food! 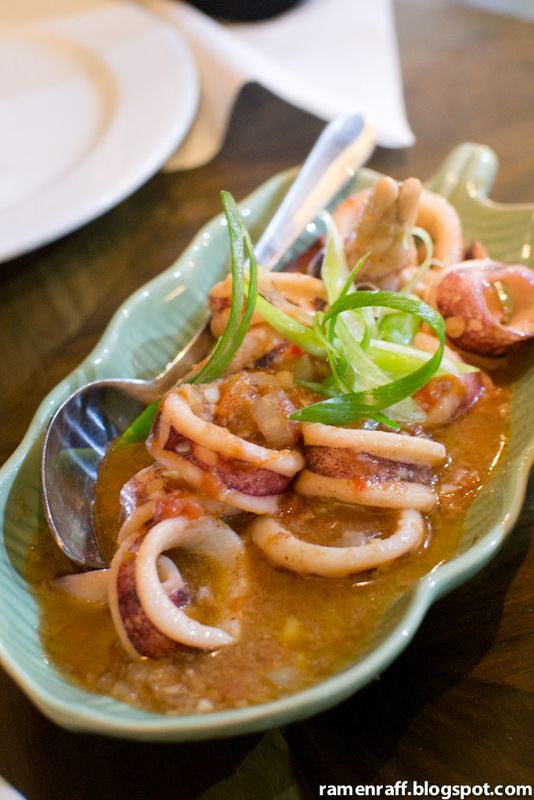 Adobongpusit ($16) is squid cooked in vinegar andgarlic sauce. The sauce has a garlicy and sour taste with a hint ofshrimp-paste flavour. I loved LaMesa's version a lot! This has to be myfavourite savoury dish of the night. The slices of squid were cooked perfectlyand have a tender texture. 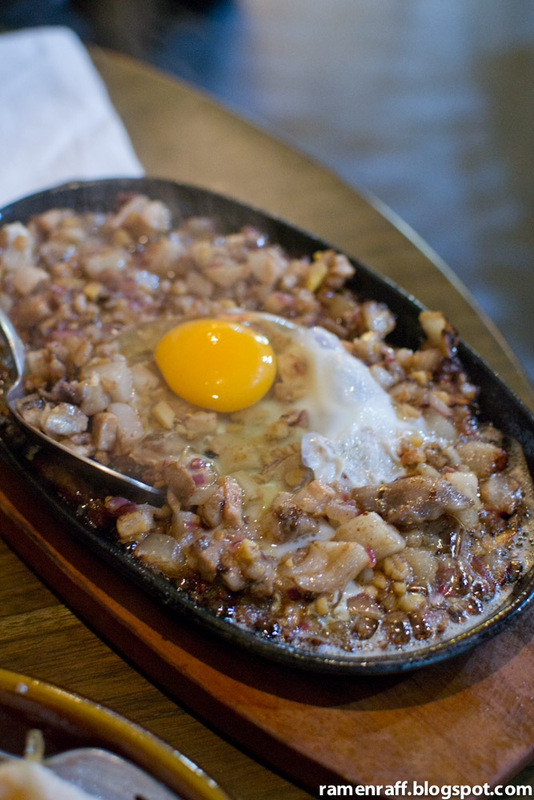 Sizzling sisig is diced meat from apig's face that is thrice cooked and served in a sizzling plate. The recipevaries but usually; the meat gets poached, broiled and then sautéed in onions(sometimes with chilli). It is served in a sizzling plate to form caramelisedbits for smoky flavour and a whole egg is added for a nice silky texture. Iwould normally want a splash of calamansi or lemon on my sisig but this versionis very tasty even without citrus juice. It is quite rich, so be warned! For all pork and crackling lovers out there,y'all have to try their lechon kawali($16). Lechon means suckling pig and kawali translates to wok. The porkbelly is deep fried in a wok. The skin turns to a nice crispy crackling withthe effect of a suckling pig. The tiles of crackling are perfectly crunchy. Themeat is tender, juicy and flavoursome. Last but not least is the Philippinesmost loved dessert, Halo Halo ($8).A mixture of coconut meat (macapuno), nata de coco, boiled sweet fruits, beans,shaved iced then topped with evaporated milk and leche flan (Filipino cremecaramel). 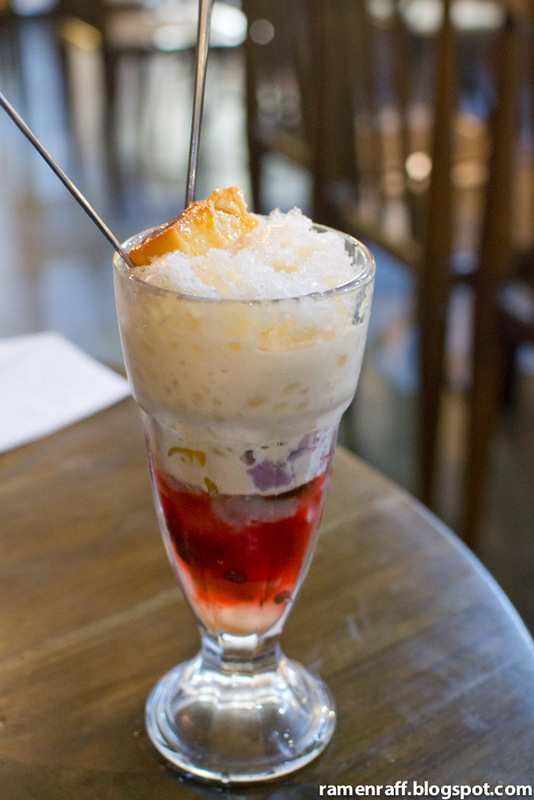 All the ingredients in the tall glass is mixed (halò is tagalog formix) before eaten. 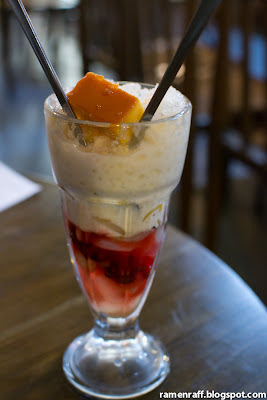 I really enjoyed their halo halo and reminded me ofchildhood summers back in Manila! 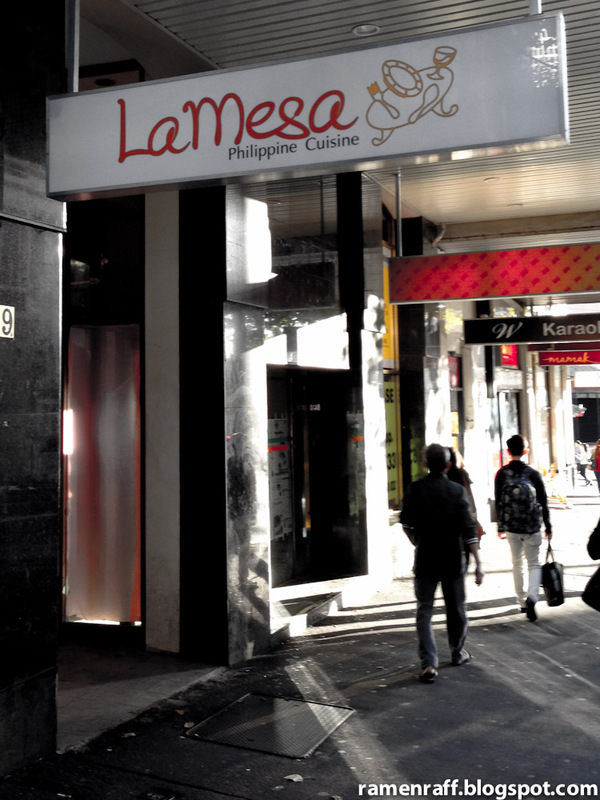 I regard LaMesa as one of the bestFilipino restaurants I've been to. 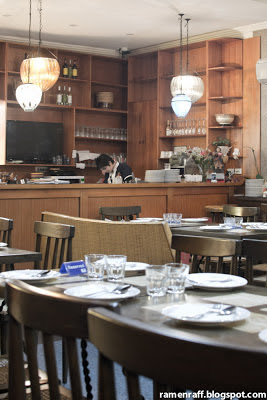 I am really happy and proud that somethingas awesome as this restaurant now exists in Sydney. 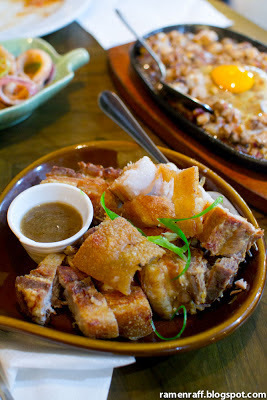 I will definitely return totry their popular kare kare and crispy pata!